It took me a while to find the lowercase L in this photo. 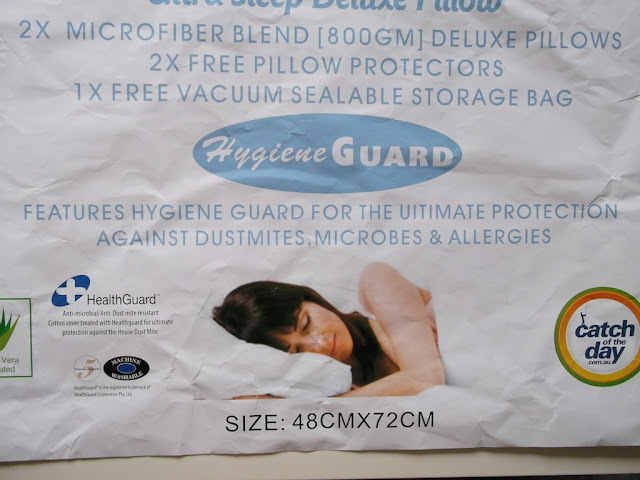 This ad for a HealthGuard mattress may offer THE UlTIMATE PROTECTION AGAINST DUSTMITES, MICROBES & ALLERGIES, but it apparently does not offer one lick of protection against lowercase L infestation. Thanks to Gary C. for this fantastic Catch of the Day!